Tampa’s main street had always been Franklin Street. In 1887, it became Tampa’s first street to be lined with electric lights. Later, it became the first street to be paved, the first to have sidewalks, and the City’s first brick building was built adjacent to it. Franklin Street used to be the hub of Tampa’s commercial core. Beginning in the late 1800’s, the Mass Brothers built a few stores on Franklin Street, the last of which was an 8-story building, completed in 1921. 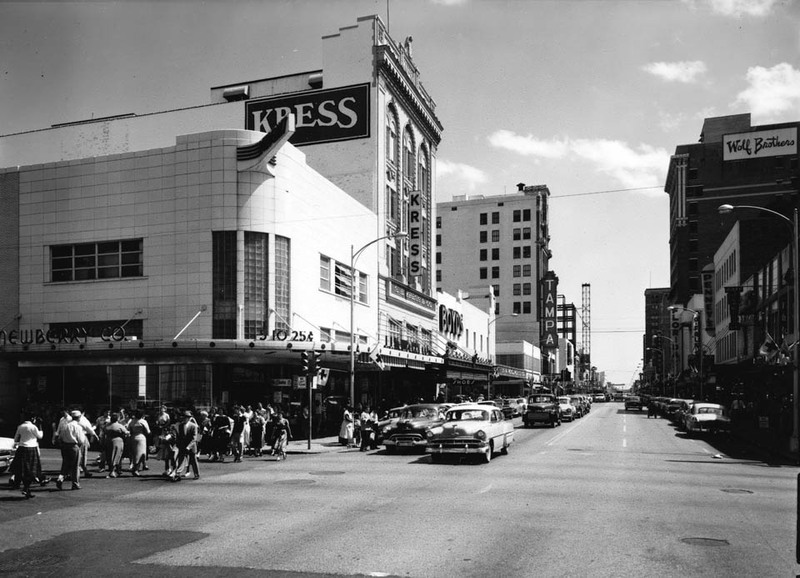 Kress opened its first Tampa store on Franklin Street in 1908. In 1929, the building was demolished and the current, larger store was built. The Woolworth department store opened on Franklin Street in 1915. Tampa Theatre opened, what was dubbed “The South’s most beautiful theatre”, on Franklin Street in 1926. Unfortunately, by the mid-twentieth century, as people moved from downtown to the suburbs, Tampa’s once thriving retail stores were now struggling to survive. 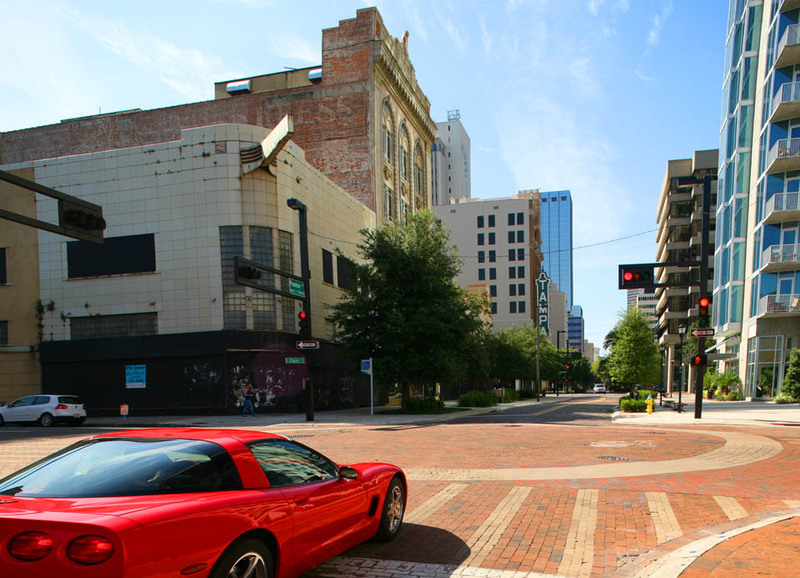 Beginning in the 1970’s, the people of Tampa discussed ways to revitalize their downtown area, especially the once grand, but now derelict, Franklin Street. Although there were many plans, very few came to fruition. The Mass Brothers’ store closed in 1991 and was demolished in 2006. Woolworth’s closed in 1992 and Kress closed in 1980. With the exception of Tampa Theatre, which fortunately managed to survive through city intervention, these other historic buildings have either been abandoned or demolished. During the housing boom, as skyscrapers began sprouting up in and around downtown, there was talk of demolishing some of the remaining historic buildings on Franklin Street to make room for more modern towers. This has yet to happen, but the fates of these remaining buildings are still in limbo.